Wow what a terrific weekend. 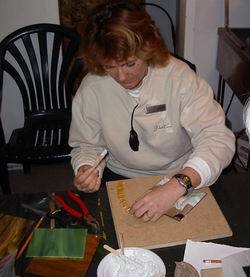 Tim & I did a mosaics class at Poets Cove Resort and not only was it a beautiful location but we had awesome students. 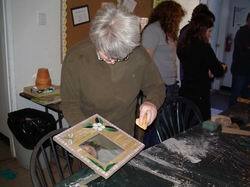 We used the direct method of applying the glass to a board & pot. After the end of the first day we had a chance to explore Pender Island and then had the highly recommended Seafood Nacho at Syrens Lounge. Sunday the class grouted and cleaned up the projects and then we had to say goodbye to some new friends and head back Victoria. Lynn dreaming of palm trees!